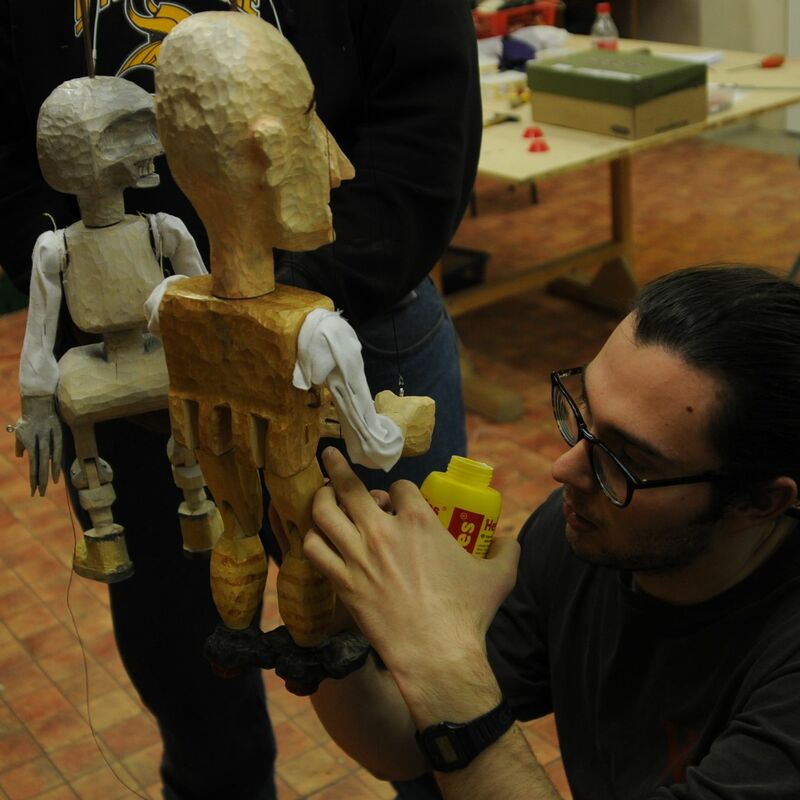 Learn with us the art of carving traditional Czech wooden marionettes, of designing stop motion animation puppets, of manipulation and performance. 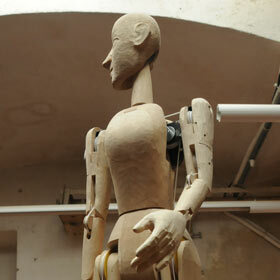 Find more photos of puppet/robot designed by Mirek Trejtnar. Puppet theaters finished and performances performed. 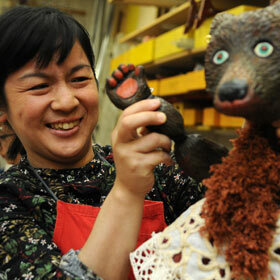 Puppets from Czech history made by students coming to Prague from Wabash university USA. 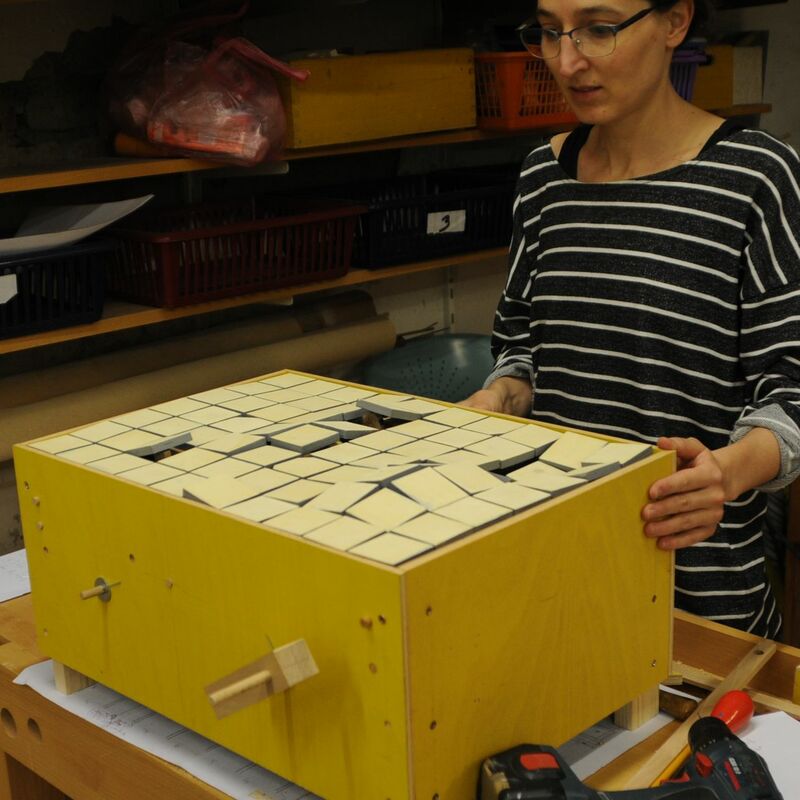 Our first students experimenting with mechanisms for automata. 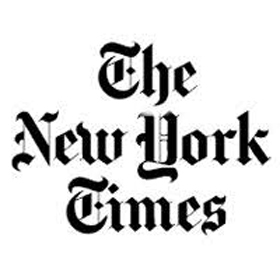 The New York Times features Puppets in Prague! A travel article about Prague ... including its puppets. Part of the NYTimes 52 cities series. 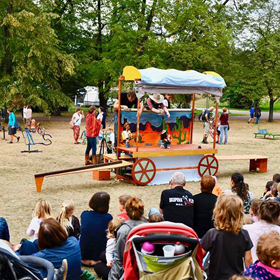 Our August workshop brought this Wild West show to Prague's popular Letni Letna New Circus and Theatre Festival. 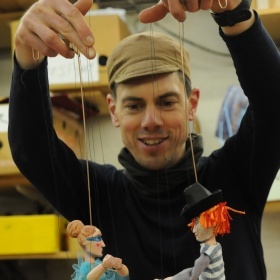 Please see our latest puppets here. 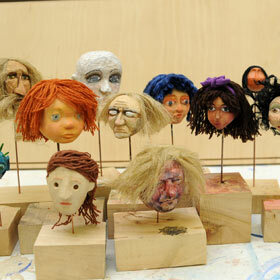 Photos from process of making stop motion puppets and animation experiments. 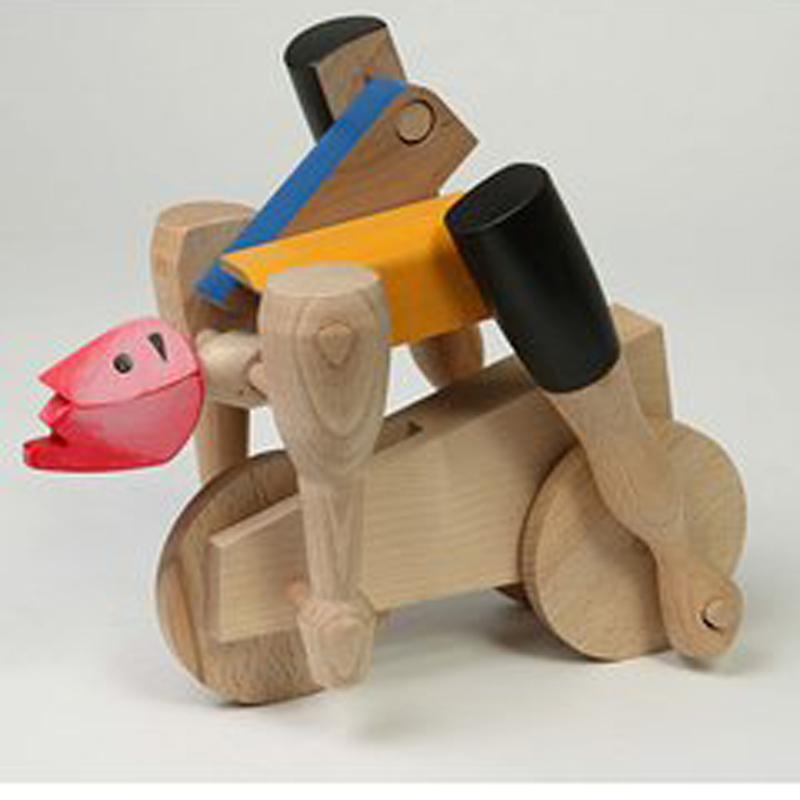 The V&A museum has the cyclist push toy designed by Mirek Trejtnar in its collection - until recently listed as an "unidentified Czech artist." 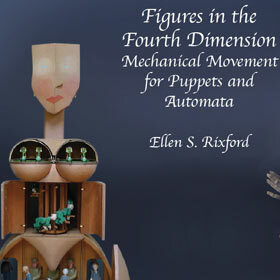 Figures in the Fourth Dimension is about mechanical puppets. It is full of beautiful images and makes it possible to start creating artworks using hundreds of technical drawings, which shows in detail how it all functions. Order puppet parts and carve at home!